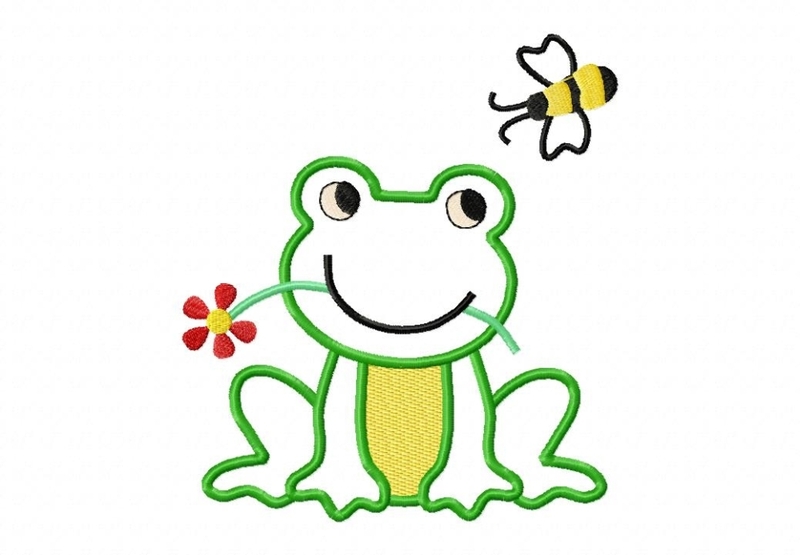 Frog and Flower Applique - 3 Sizes! 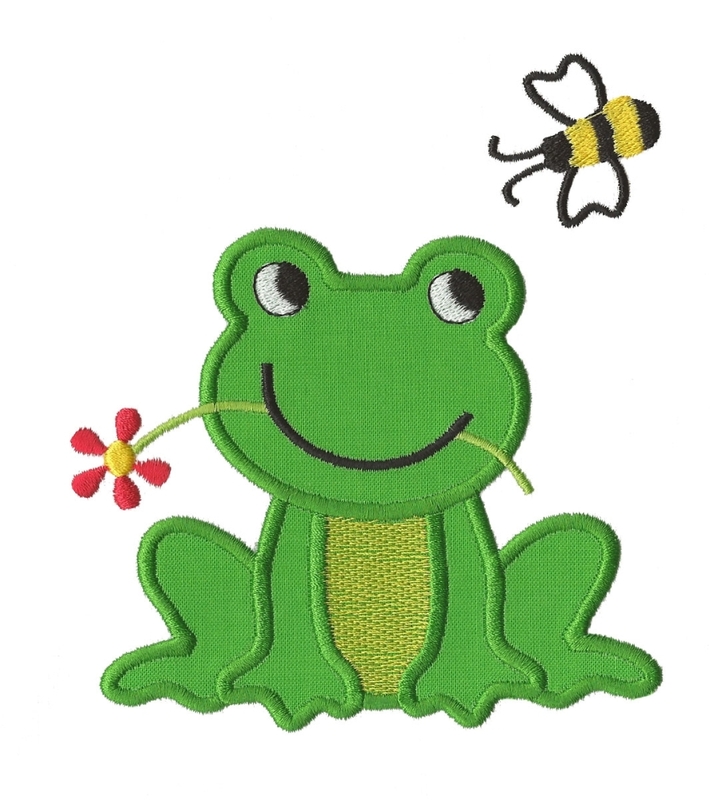 Frog has something bee wants! This is just a cute and fun design! Make it a boy frog by skipping the flower. Very easy one piece design! Includes 4x4, 5x7 and 6x10 sizes. Mod Birds Applique Set, 2 Designs - 3 Sizes! Birthday Tractor Applique Set, 4 Styles - 2 Sizes! Finish Size 3.74" x 3.79"
Finish Size 4.54" x 5.11"
Finish Size 5.88" x 6.60"